This presentation is an updated version of my presentation at the citizenship workshop during Metropolis 2017, one that I have used for a number of university immigration courses. This deck highlights the findings in my book of the same name. This deck highlights some findings from my books and looks at the implications of the Liberal government’s diversity and inclusion agenda. This deck highlights the different words and terminologies in terms of how they may be perceived. 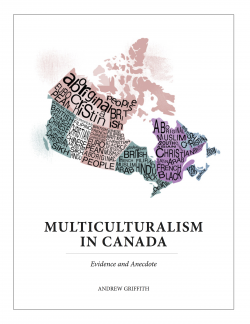 This presentation describes the history, context, culture and demographics that underline Canada approach to integration through its immigration, settlement, citizenship and multiculturalism policies and programs. Presentation delivered on citizenship and multiculturalism at the Conference Board Immigration Summit May 2017. This presentation presents the results of my analysis of the current diversity of GiC appointments to provide a baseline for the new appointment process and the Government’s commitment to diversity and inclusion in these appointments. This presentation contrasts 2015 with 2008 employment equity numbers from TBS reports. This presentation made at Metropolis 2016 analyzes citizenship test and take-up data, reviews the policy changes and impact of the 2010 and 2014 Conservative government changes and assesses the likely impact of the Liberal changes announced February 2016. Full 2015 data has been included. My presentation at the Metropolis 2016, analyzing the election results and the record level of visible minority representation, 14 percent of all MPs, close to the percentage of visible minority Canadian citizens. This presentation also reviews how this representation is reflected in Cabinet, Parliamentary Secretaries, Opposition critics, and parliamentary committees.